Set against the backdrop of Redwood forests and shimmering vineyards, Sere Prince Halverson's compelling debut tells the story of two women, bound by an unspeakable loss, who each claims to be the mother of the same two children. To Ella Beene, happiness means living in the northern California river town of Elbow with her husband, Joe, and his two young children. Yet one summer day Joe breaks his own rule-"never turn your back on the ocean"-and a sleeper wave strikes him down, drowning not only the man but his many secrets. 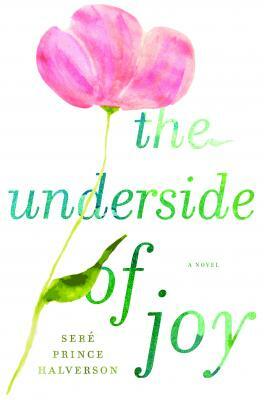 "The Underside of Joy" is not a fairy-tale version of stepmotherhood pitting good Ella against evil Paige, but an exploration of the complex relationship of two mothers. Their conflict uncovers a map of scars-both physical and emotional-to the families' deeply buried tragedies, including Italian internment camps during World War II and postpartum psychosis. Weaving a rich fictional tapestry abundantly alive with the glorious natural beauty of the novel's setting, Halverson is a captivating guide through the flora and fauna of human emotion-grief and anger, shame and forgiveness, happiness and its shadow complement . . . the underside of joy. SERE PRINCE HALVERSON lives in northern California and worked as a freelance copywriter for twenty years while she wrote fiction. She and her husband have four grown children. She is a mom and a stepmom, and grew up with a mom and a stepmom. This is her debut novel." "The Underside of Joy covers the transforming experiences of most of our lives — marriage, parenthood and death — with maturity, understanding and grace. Anyone who has known love, loss, regret and forgiveness can identify with Ella and her transformation, and with subplots about sibling rivalry, the local food movement and the persecution of Italian immigrants during World War II, the book offers a lot to think about. I suspect it will be a book club favorite." "Halverson’s gloriously down-to-earth novel is so pitch perfect that as readers reluctantly reach the last page, wanting more, they will have to take it on faith that this really is her first fiction."